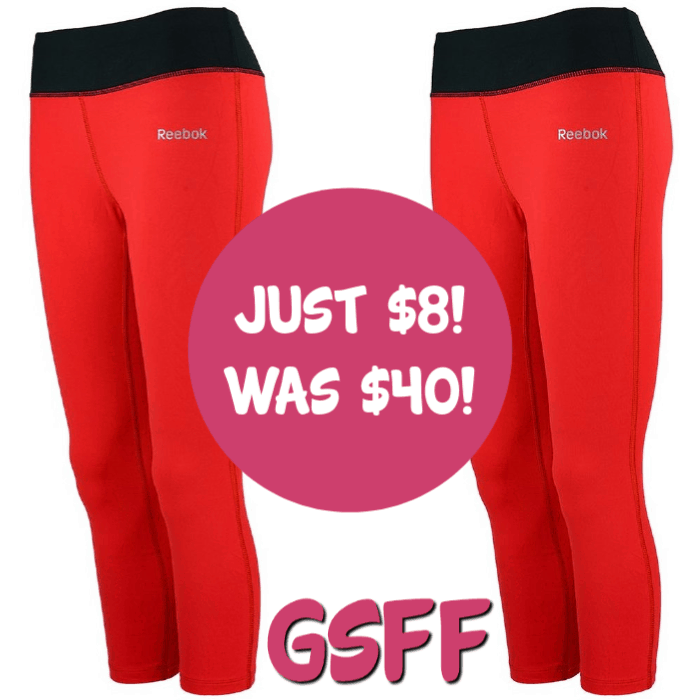 Reebok Women’s Lean Running Pants Just $15! Down From $70! PLUS :fr: Shipping! Reebok Women’s Lean Running Pants Just $15! Down From $70! PLUS FREE Shipping! Head over to Proozy and get this Reebok Women’s Lean Running Pants for just $15, down from $70, plus FREE shipping! Don’t ever shy away from workouts again with the Reebok full length athletic pants. Performance fabric allows the skin to breathe and prevents irritation during workouts. The straight leg cut is perfect for women who are looking for an alternative to sweatpants or leggings. Bootcut fit for an alternative to sweatpants and leggings. Two-Layer waistband with a key pocket for runs,. Quick dry fabric to wick moisture from your skin to stay dry and comfortable during the high endurance sessions. Made from lightweight polyspan material. Reebok Women’s Capri Leggings Just $8! Down From $40! FREE Shipping! Head over to Proozy and grab a pair of Reebok Women’s Capri Leggings for just $7.99, down from $39.99, PLUS FREE shipping! Reebok Women’s Capris fit into your active lifestyle. These fitness bottoms are constructed from soft, breathable fabric, so you stay comfortable from start to finish. 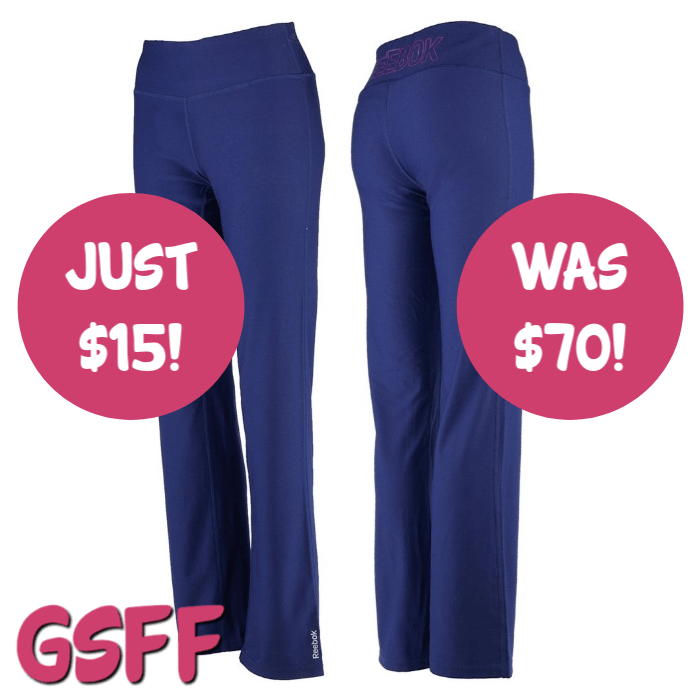 The wide elastic waistband provides great support and a flattering silhouette during your workout. Smooth, flatlock seams ensure you’re protected from chafe and irritation during activity.